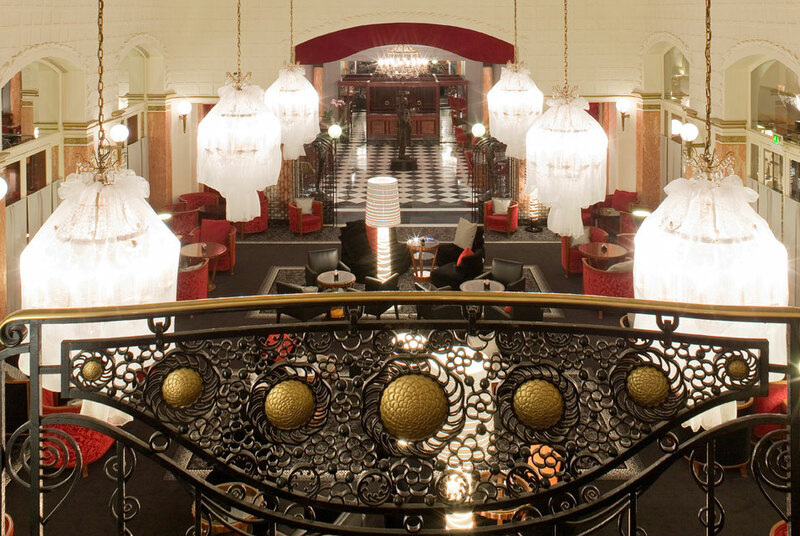 The Lutetia, Where we’ve stayed for many years in Paris…..
PARIS.- The Lutetia, the Left Bank’s only large hotel and the regular rallying point of artists, designers and intellectuals, has entrusted the sale of a part of its collections to the auction house Pierre Bergé & auctioneers. The sale is scheduled for May and will include just over 3,000 pieces of furniture and some 8,000 bottles of wine and spirits. The hotel also owns many works of art, some of which will be up for auction, with the signatures of Arman, Philippe Hiquily, César and Takis appearing among them. “We’re just about to start a three-year program to renovate the Lutetia, but before turning this new page in the hotel’s history, we’ve chosen to use an auction house that embodies our values, Paris, and its innate sense of elegance and sophistication,” the hotel management has stated. The hotel will close on April 14, 2014 for a period of three years. The renovation works, to be undertaken by Jean-Michel Wilmotte, will start immediately after the sale. In the words of Antoine Godeau, auctioneer and vice-president of Pierre Bergé & auctioneers, “The recent developments of our auction house, in tune with the changing market, and the emergence within our team of a new generation of experts and a diversified set of skills, will be put to good use for this event. The sale will take place in an iconic venue and is also a celebration of the Lutetia and those who contributed to its legendary status.” THE LUTETIA, A SYMBOL OF THE SPIRIT OF THE LEFT BANK Since it first opened, Hotel Lutetia has enlisted the services of renowned artists and architects. Louis Hippolyte Boileau and Henri Tauzin were responsible for its construction, which began in 1907 and lasted for three years, while the Art Deco facade was created by the sculptor Léon Binet. The hotel’s modernity soon attracted an intellectual and artistic clientele. Many painters and writers found a genuine source of inspiration there, following in the footsteps of Albert Cohen, not to mention Picasso, Matisse, André Gide, James Joyce, Samuel Beckett, Saint-Exupéry, Jean-Paul Sartre and André Malraux. In the heart of Saint-Germain-des-Près, where literary and artistic fashions are made and unmade, the Lutetia have always been open to the famous names, charmed by its unique location and glamorous atmosphere. Many artists and designers have been given carte blanche to produce one-off pieces in situ, which not only add to the hotel’s singular appeal but also become part of its heritage. Elegant and timeless, this emblematic destination on the Left Bank remains the epitome of an art of living French-style that bears the stamp of luxury and sophistication.